Our new editors – Julia Feist, Ashley Koman, and Ivy Saltsman – put together a playlist of some of the songs they’ve been listening to lately, and we love it. Ranging from indie to alternative to folk to R&B, it’s a great way to chill out after hitting submit on your Common App. It’s also a great way to get psyched after hitting submit on your Common App. Whatever your mood, it’s a great list. Check it out, Devils! Here’s an old playlist, but a great playlist. Happy Halloween, Devils! This year’s BHS English curriculum updates included some changes in the texts students read. 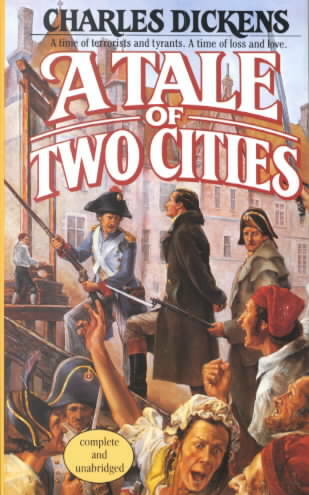 One of the more noteworthy changes is the loss of the Dickens novel A Tale of Two Cities. Although the new books students have the opportunity to read are great, we can’t help but miss this massive classic. For those of you who are feeling a bit nostalgic for your sophomore year or feel like revisiting the characters in this serial novel, tune in. I tried to “2013-Gatsby”-up this book to romanticize and modernize it more, even though it’s already awesome. There’s a mix of well and lesser known artists and a spectrum of genres to mimic the emotional roller coaster of the plot. 1. “I Come With Knives”- IAMX ! I was drawn to this song originally because of its lyric “The paradox of our minds,” which reminded me of the opening line of the novel. The song in general speaks about a romanticized desire to kill, alluding to the murder of the Marquis and the bloodiness of the French Revolution, caused by regular citizens, like in the lyrics “I’m only human.” The German chanting throughout the song, along with the creepy, repetitive tune creates a dark and mysterious night atmosphere present during the murder. This song represents Sydney Carton’s love towards Lucie and his transition from a brooding alcoholic towards a noble human being. The first verse references his observations as a lawyer about the misfortunes and dangers of the world, supported by the lyrics “the world is without love.” The progression of the song with its inclusion of “In a perfect world,/The perfect place is with you” is Carton’s acceptance of the world’s imperfection because he cannot be with Lucie. It’s almost like Sydney Carton’s profession of love for Lucie, with its instant retraction. Because Dickens characterizes Lucie as pretty flat, I’ve chosen this song to give her more character by presenting her inner thought process during her isolation, her move to London, and her distraught at the fall of her home country. The line “Lifetime of changes/a strange generation/explanations never come in time” reminded me of the uprise of the French proletariat and how everyone around Lucie keeps secrets from her. The final statement “So I’m leaving everything behind” demonstrates Lucie’s entire, unstable life. This song reminds me of the Defarge’s tavern and their poisonous role in the revolution. The line “Nobody knows they’re lining up to go insane” juxtaposes the previous prosperous happiness of the tavern with its new dark role of numbing the pain of oppression. The lyric “A rat always knows when he’s in with weasels alludes to the secret meetings of the Jacquerie and the tension present with keeping allegiances to either the monarchies or the revolutionaries. This is another sad Sydney Carton song because he is a beautiful man. In the chorus, the narrator states “I have buried you/Every place I’ve been/You keep ending up/In my shaking hands” which to me reminded of Sydney’s desire for the metaphorical burial of his love for Lucie, yet his inability to do so as everything reminds him of her. 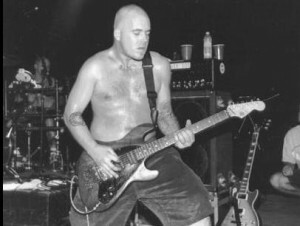 The obvious first verse of the song also includes a lot of imagery pertaining to water and alcohol, referencing Carton’s addiction and suffering. This is yet another song that applies to the relationship between Sydney Carton and Lucie, as well as potentially being a song that describes the downfall of the monarchy, especially in the lyric “We were a goldmine and they gutted us,” the “we” applying to the bourgeois and the “they” representing the revolutionaries. The same analysis can be applied humorously to the line in the chorus “Well I did my best/To keep my head.” When applied to Sydney Carton, the lyric “And a girl from class to touch/But you think about yourself too much/And your ruin who you love,” perfectly highlights his self-destructive character and his obsessive love towards Lucie. This song is an obvious one for Jerry Cruncher and his grave robbing habits. Also, the superfluous religious imagery in “God is in the houses and God is in my head/And all the cemeteries of London” contrasts the idea of a decided fate with the people’s desire to create their own destiny. This instrumental tune is from a show set in Victorian England, but its fast paced and cutting violin reminded me of the rapid chaos of the French Revolution. The composer included some electronica to modernize the song, while adding a creepy, chanting, and breathy undertone to illustrate the romanticized danger similar to that of the French Revolution. This song just reminded me of the socioeconomic standing of France during the revolution with its prostitution, thievery, and corruption. This song to me demonstrates Lucie’s internal struggle with her surrounding and the people surrounding her. Dickens portrays her as the epitome of purity, so the lyric “I pass the light that the young people make/How joyfully it’s wasted” contrasts that “light,” or the purity, with the idea that everyone else is completely corrupted. The line “All of you lie about something/You know you do, all of you, shame on you, all of you lie” illustrates Lucie’s potential disgust with the impurity of others. Also, this song can be applied to Madame Defarge who is also disgusted with the lies of the upper class. This song illustrates the relationship between Madam Defarge and Lucie and the former’s desire to kill the latter. This song specifically reminded me of that final showdown scene between the two women during the revolution. The lyric “Why can’t this be killing you/Frankenstein would want your mind/Your lovely head” references Lucie’s beautiful hair, while also making Madame Defarge into the narrator and stressing her desire for the destruction of the corrupted purity of the bourgeois. I have always had a strong affection for music. So many songs are inextricably tied to my memories of childhood. Harry Chapin songs make me think about sitting in my dad’s Buick during my brother’s Little League games. Kim Carnes reminds me of rolling down the windows in my mom’s station wagon. Hearing Ozzy Osbourne immediately brings me back to the beach house we used to visit each summer, sitting at the top of the basement stairs in an effort to hear whatever the older kids were talking about. Pink Floyd, Genesis, Mötley Crüe, and ZZ Top transport me to Friday nights at Roller Kingdom, trying desperately to master the ‘shoot the duck’ technique without looking ridiculous (turns out, it’s impossible). Listening to Blondie evokes memories of snow days spent sitting in front of MTV waiting for VJ Martha Quinn to introduce my favorites. I am lucky to have recognized early on the warmth and energy and inspiration and joy that music has to offer, but I didn’t full-force fall in love with music until the eighth grade. That year, the girl who sat behind me in homeroom gave me my very first mix tape, and listening to it somehow changed everything. 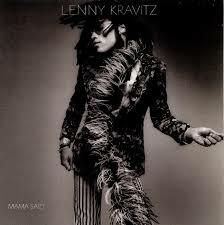 It was my introduction to punk, alternative, post modern, glam rock – really anything not mainstream. 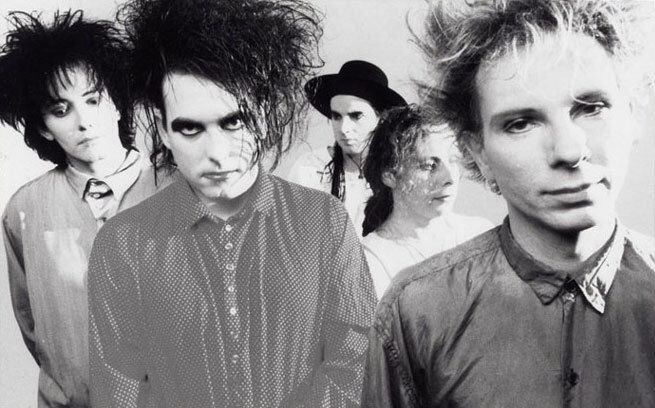 Hearing bands like The Cure and The Dead Milkmen for the first time somehow made my life seem more important, more intense, more mine. Before that point, I had been listening to (and enjoying) pop radio, but that music didn’t belong to me. I still stand by some of my early favorite artists: George Michael, Madonna, Belinda Carlisle, to name a few. I did not, however, feel the same connection to that music that I did with what I found on the mix. In those songs I discovered the strength that comes with rebellion, the ache that comes with a broken heart, the excitement that comes with new love, and the joy that comes with revelation. I discovered familiarity and the projected possible all at once. 1. “Love Buzz” by Nirvana: At that age, I was on the ‘scooping crew’ at Skip’s Ice Cream. Lucky for me, some of the ice cream stand’s past employees would pick up shifts during spring break, and they brought with them the sounds of college radio. My boss used to let us listen to whatever we wanted to on the nights he wasn’t there, and she who had seniority controlled the cassette player. I first heard this one courtesy of the ‘scooper’ who trained me. I will be forever grateful. 2. “Kool Thing” by Sonic Youth: I liked Sonic Youth’s loud, angry distortion. I loved that a woman was singing and playing loud, angry distortion. She was everything I was not. Seeing her on stage was empowering for me. 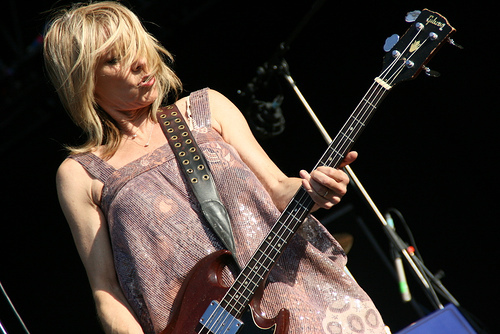 At sixteen, I pretty much thought Kim Gordon was the coolest thing around. I kind of still do. 3. “Age of Consent” by New Order: I discovered this song through classroom desk graffiti. Someone from a different period, who sat in the same seat as me in Chemistry, wrote a section of the lyrics on our shared desk. Apparently, I wasn’t the only person who enjoyed it because the next day a different student reciprocated by sharing lyrics from another song. This exchange continued throughout the year. Those lyrics were just about the only reading I completed in Chemistry class that I entirely understood. 4. “Pictures of Matchstick Men” by Camper Van Beethoven: This is a Status Quo cover, but I didn’t know that at the time. I liked the song’s mix of psychedelic, Americana, and alternative sounds, which seemed really fresh to me. I definitely used my hairbrush as a microphone while singing along to this one. 6. “From Under the Covers” by The Beautiful South: I was a huge fan of The Housemartins, a band that was featured on that first mix tape. Their lead vocalist, Paul Heaton, sings for The Beautiful South. The Housemartins were my introduction to Marxist politics and British dialect. 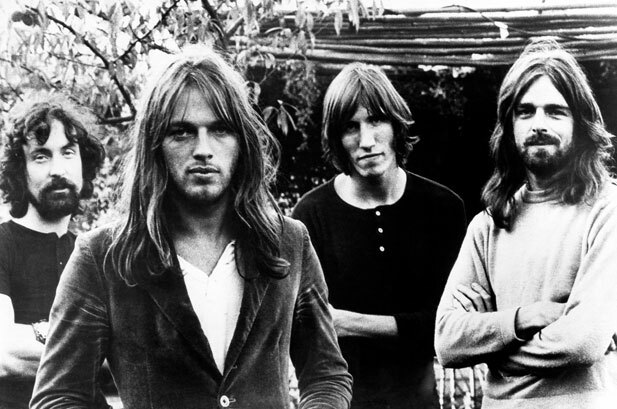 Listening to them prompted me to join the British Exchange program. This song was one of my exchange student’s favorites. 7. 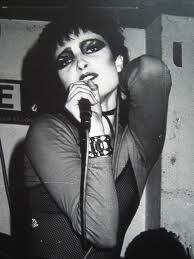 “Peek-a-Boo” by Siouxsie and the Banshees: I saw Siouxsie Sioux on MTV’s 120 Minutes and immediately purchased black eyeliner (that I was too timid to wear out of the house – or even in the house, really). This is the song I listened to after I got my license, the very first time I drove with nobody else in the car. I was petrified and felt super tough at the same time. 8. “The Hardest Walk” by The Jesus and Mary Chain: I spent a lot of time watching John Hughes movies as a teenager. This song is from Some Kind of Wonderful, which, like many John Hughes films, focuses on class and cliques. I loved the character Watts in this movie. She wore red fringe gloves and played the drums. This song, about the end of a relationship, is all distortion and fuzz. I couldn’t get enough of it. 9. “The Happening” by The Pixies: The Pixies battled The Smiths for the highest place in my heart while I was in high School. 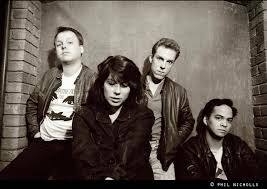 Although The Smiths sang the song that my high school boyfriend and I had claimed as our song, “There is a Light That Never Goes Out” (which was the height of romance at the time, but now seems exceptionally morbid), The Pixies had a sort of American rebel sound that I adored. Plus, this ‘loud-quiet-loud’ band hails from Boston and, at the time, had Kim Deal singing back-up vocals and playing bass. The Pixies eventually ousted The Smiths as the band of preeminence in my heart, and became my favorite. 11. “Left of the Dial” by The Replacements: I discovered The Replacements, considered some of the forefathers of early American alternative and indie rock, through their 1990 album All Shook Down. WFNX featured some of the tracks on this album; “Merry Go Round” was in heavy rotation for a while, but I preferred “Sadly Beautiful.” It led me to seek out their earlier releases, which are definitely superior. 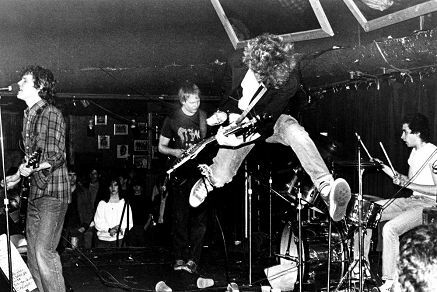 The Replacements (The Mats) were the first band I actually researched. 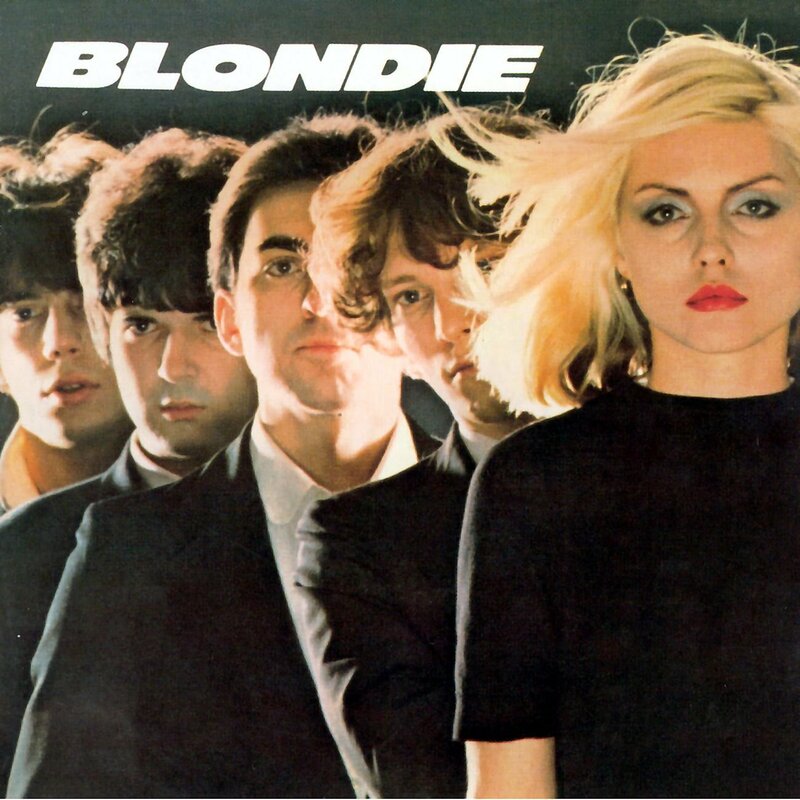 Because I learned that they were influenced by The Clash, The Ramones, and Big Star I got into those bands as well. “Left of the Dial,” from the album Tim, was one of my early Replacements favorites. 12. “Not Too Soon” by The Throwing Muses: I discovered the Throwing Muses early in my senior year (just before I turned 17). When I began the college search and exploring schools in Rhode Island, I started looking into local RI bands, shows in Providence, and college radio. On our way home from my tour of Providence College, I listened to their radio station (WDOM), and the DJ played this song. I listened to it a lot after that. The women in this band are AMAZING! I recently got to meet Tanya Donelly, a guitarist and vocalist in The Throwing Muses who went on to be part of The Breeders and Belly (two of my favorite bands in college). I was tongue-tied and giddy when I met her. 13. “Ocean Size” by Jane’s Addiction: When my sister was a senior and I had just turned sixteen, she drove my brother and me around quite a bit. She was kind enough to give us radio control on occasion. My brother, who started his love of music with rap and early hip-hop, made the switch from Public Enemy and Slick Rick to Sam Black Church and Only Living Witness at about this time. 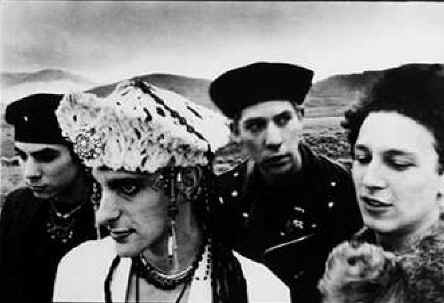 We had Jane’s Addiction in common so it was on my sister’s radio a lot. The booming, screaming sounds in “Ocean Size” somehow made us both happy. It was a pretty good psych-up song before school. Now, when I’m preparing for a particularly challenging lesson and need a psych-up song, I listen to my brother’s old school rap (radio edits only). 14. “Day Ditty” by Shudder to Think: This one I owe entirely to my brother. He shared the band and the song with me, and it quickly made the rounds on my mix tapes. I was always looking for short songs to fill the tiny space at the end of cassettes. Leaving two minutes of dead air at the end of side one was just cruel. 15. “I Won” by The Sundays: I played this song on repeat the summer before my senior year. The Sundays were great for rainy day. I sometimes still break out Reading, Writing & Arithmetic when the sky turns gray. 16. “All I Ever Wanted” by Lenny Kravitz: I discovered Lenny Kravitz through my ridiculously immature celebrity crush on his once wife Lisa Bonet. Bonet, who played Denise Huxtable on The Cosby Show and A Different World, was my earliest fashion icon. Once I learned that she was married to a musician, I bought his albums. Although I liked Lenny Kravitz’s debut release, Let Love Rule, his second album, Mama Said, was all about his love for Bonet and their daughter, and his regret for whatever happened in their relationship. I liked the idea of creating an album as a love letter and as an apology of sorts. His fashion was pretty amazing as well – perfect casting as Cinna. This one was another early senior year favorite. 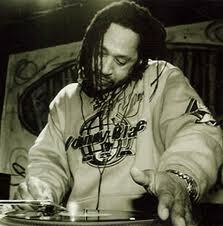 Many years beyond sixteen, music continues to be a very important part of my life. 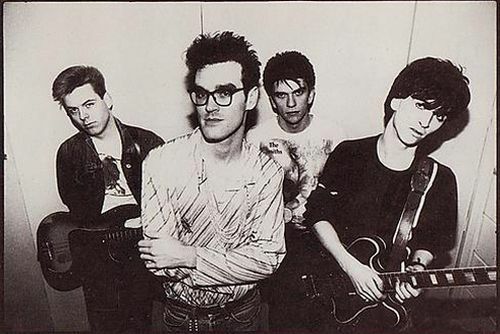 I am just as passionate about it now as I was then; although, now I don’t shut the door of my room and blare The Smiths when I’m upset about something or spend any time singing into my hairbrushes. Now I share music with my daughter, and have the great fortune to see her face the first time she hears what will become her favorite songs. Now I roll down my windows and turn up (to a responsible volume) Neko Case, Courtney Barnett, Joni Mitchell, and Lady Lamb the Beekeeper. Now, when I hear music I can still find the familiar and the projected possible all at once, and it is lovely. Mrs. Bernard, who teaches English to sophomores and juniors at BHS, is described by her students as “outgoing,” “nice,” and “no-nonsense” while being very “passionate” and “thoughtful” about her work. This is what she has to say about what she was listening to at sixteen. When I was 16 I was a junior in high school and the year was 1998. I wore jeans, birkenstocks, and baggy sweaters or patchwork tank-tops. For me, music was a way to experience life with my friends. That life (way back then) included long drives to the beach, hikes in the woods, and bonfires at night on Little Neck. Yes, we were the “hippies” of Ipswich High School and our music reflected that. However, we liked to think of ourselves as the only ones with any real taste in music. We went to as many shows (yes, concerts are actually called shows) as possible and would get up early on Saturday mornings just to stand in line to buy tickets. When I hear one of the songs on my Sweet Sixteen I think of the people and places that I still love the most: Ipswich and my friends that I am still close with. Ms. McAuliffe, described by some of her freshman students as “smart,” “fun-loving,” and “laid-back,” is a math teacher at Burlington High School. Here is what she has to say about what she was listening to at sixteen. As I started this I realized that my sixteen-year-old self was not all that different than my…. not-16-year-old current self – all over the map. In high school, I bounced around a lot. I had a lot of friends in all the different social groups, and I got along well with everyone, but never had a best friend or a perfect clique that I fell into. I think I liked it that way. My closest girlfriends were those I played soccer with. “Let Me Clear My Throat Now” was on our warm-up TAPE year after year. It reminds me of fall afternoons and summer double-sessions. When I switched into hockey season, where I played on the boys team, I had no choice but to listen to Nirvana, RATM, and endless Metallica. Intense. Those bands make me think of before-school practices, pasta parties, and completely inappropriate hockey movies. 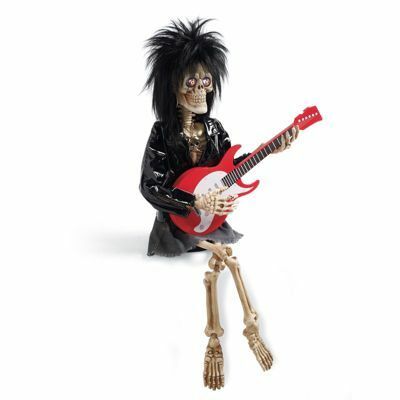 I had one goth friend (I’ll shamefully admit that our friendship outlasted our common interests because her family had the INTERNET and we could spend time on chatrooms… so cool). No Doubt was what she would play that I could tolerate (with NIN and Marilyn Manson being the other options). My first two concerts were Phish and then Shania Twain. Go figure. Shania was my gateway into loving country music. 3EB makes me think of my friends who got into things that I didn’t want to get into. Friends and Dawson’s Creek theme songs… couldn’t leave those out. Each of these songs brings an exact person or group into my memory. I like not fitting into one category of music. Being open-minded in music, and life, has exposed me to songs/bands/people that I probably wouldn’t have expected myself to like. It’s helped me as a teacher because sometimes I think I can see parts of these songs… whether it’s the emotion or the lyrics or the scene… in particular students. I think this helps me relate to them in ways I wouldn’t have anticipated. The BHS spring musical, Grease, opens this weekend and it promises to have you dancing in your seats. This spoof of high school life in 1959 is full of teenage stereotypes and questionable messages, but there is no denying that it is F-U-N. If you missed today’s preview assembly of the show, you really missed out. The BHS Devils were born to hand jive, baby. 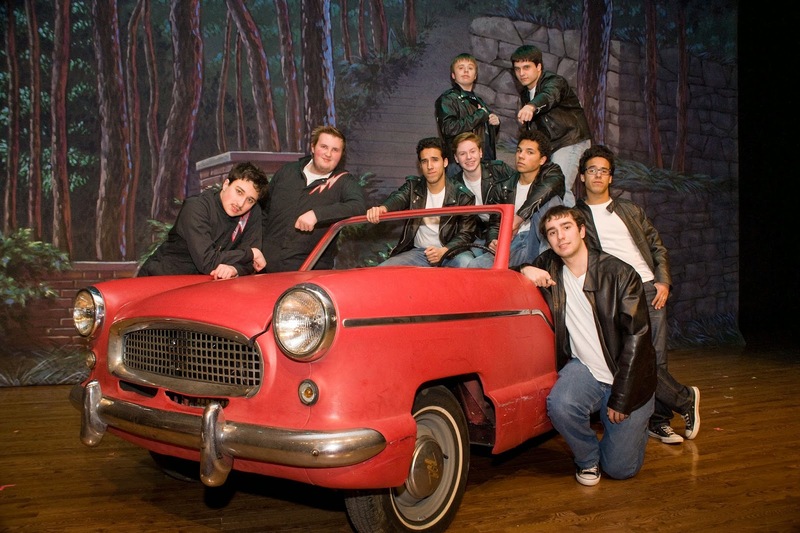 Fifties pop music, which is highlighted in the performance, is characterized by a mix of big-voiced crooning, R&B traditions, and sentimental swooning. (Just see Dr. Nassiff’s Sweet Sixteen for evidence of that point.) Directed by John Middleton-Cox, the high energy cast of BHS’s production of Grease does justice to a beloved era in music and American culture. From Steven Gelberg’s compelling delivery of “Those Magic Changes” to Mikayla Merrill-Withycombe’s beautiful rendition of “There are Worse Things I Could Do,” this production certainly spotlights the musical talent of BHS students and honors early American rock-n-roll. Although John Travolta’s “Greased Lightnin'” has nothing on that of BHS’s own Mike Garcia, listening to it is a great way to get psyched up for the show. You can sing along to the soundtrack to the 1978 film adaptation of the musical by playing it below. Be prepared, though. The BHS production includes a few lyrical alterations that tone down some of the play’s more suggestive content; this soundtrack does not. Get your tickets to Grease before they sell out. You’ll dig it, Devils! Mrs. Rose is a valued member of the BHS English department revered by her students for her “ability to teach difficult material by making it relevant and cool to talk about.” She is described as “challenging,” “interesting,” and “sweet.” She is also respected for her “sick sense of style” and “great laugh.” This is what she has to say about what she was listening to when she was sixteen. Oh the memories this project elicited! I spent a lot of time listening to music, like most people do when they are 16. I started to explore my musical tastes a bit more at this age, which is pretty well represented by this list. Most pop music was uninspiring and Nirvana had introduced a whole new world of music to the pop world in the early 90s. I loved all of the long hair, flannel wearing bands, but Nirvana and Pearl Jam have special places in my heart. To this day Pearl Jam’s Ten is one of my all-time favorite albums. From there I became obsessed with alternative music – indie rock and punk particularly. Not only was I listening to more and more music, I started to go to more and more shows my junior and senior years of high school. As I look at this list I realize all of these songs are still in my music rotation, because my tastes have not really changed that much, matured maybe, but not changed. This is what I was listening to when I was 16. St. Patrick’s Day is a cultural and religious holiday that honors the heritage of the Irish. What better time to celebrate Irish music? Here is the perfect soundtrack to your corned beef and cabbage dinner. 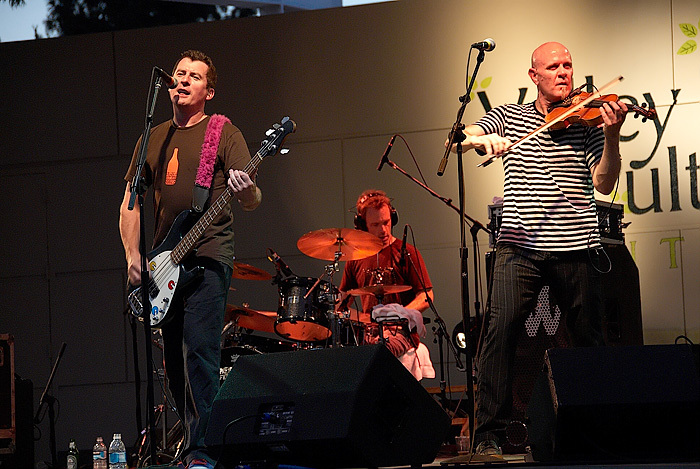 It ranges from songs by popular artists like the Dropkick Murphys to traditional Irish ballads. It should have something for everyone around your dinner table. After you’ve finished dinner, after you’ve tipped your glasses and uttered “sláinte” to your loved ones and those who have fought for the love of Ireland, after you’ve practiced your Irish step dancing, after you’ve searched your yard for four-leaf clovers and rainbows ending in a pot of gold, after you’ve completed your leprechaun traps, please consider taking a look at the New York Daily News‘ exploration of the musical contributions of the Irish. You can read the article here. We also suggest that you check out boston.com’s Shamrock-n-Roll playlist. Today is not only a day to wear green, it’s a day to celebrate culture – a culture rich in musical tradition. Happy St. Patrick’s Day, Devils! May the road rise up to meet you.